But what is hap­pen­ing in the Catholic Church is that the Latin Mass is becom­ing the province of a fac­tion of spite­ful, spit­ting lob­by­ists. The Latin Mass is becom­ing asso­ci­ated with those who view Vat­i­can II as an invalid coun­cil and think that peo­ple who attend the Novus Ordo are lesser Catholics; who act as though the Latin Mass some­how makes them bet­ter and supe­rior and more holy, and their halo more sure, per­haps even com­plete. I have no argument with people who want to bring back the Latin Mass. I have a BIG problem with people who, against the wisdom of the Church, say that the Novus Ordo is invalid. Maybe the Novus Ordo is inferior. So be it. 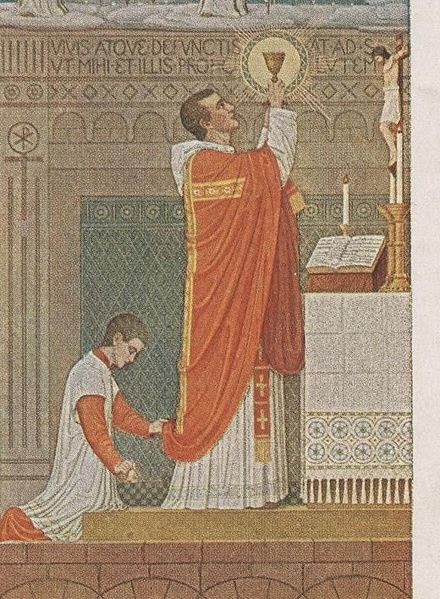 There are can never be any inferiority in the Sacrifice of the Mass. One is as good as another. What I find ironic about Tridentine Catholics is that their attitude is often very modern, not Tridentine. I regularly read St. Francis de Sales, St. Alphonsus, St. Louis de Montfort and like-minded writers. And their refrain is this: Obedience and submission. That's the essence of humility, which is what saves. When you make the decision that your judgement is better than that of your superiors, and you actively oppose them, you are no better than the dissidents you rail against. It is the very essence of pride. Your superiors, i.e. bishops, may very well be wrong. The Church has decided that the Novus Ordo is valid. Well the popes and bishops have been wrong. I think Christ knew what he was doing. When he created the Church and the hierarchy, it wasn't to leave people to personal interpretation. When a juridical decision is made, Christ treats it as true. If it's up to individual Catholics to determine what is true and what's not true, valid or invalid, how is that better than Protestantism? It's not. We have bishops to take the guess-work out of all those theological questions.